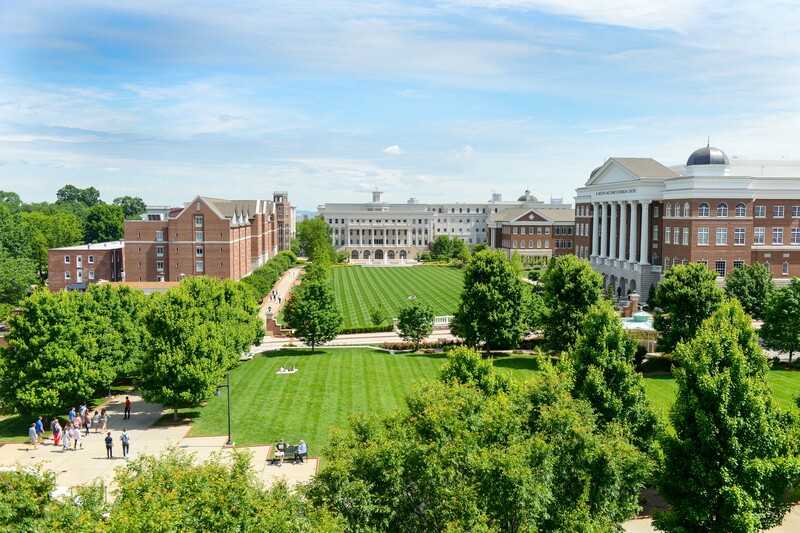 Two of Belmont University’s graduate programs, the Jack C. Massey College of Business’s Part-Time MBA and the College of Law, were lauded today when U.S. News and World Report released its 2019 rankings of Best Graduate Schools, a tool to help prospective graduate students better understand the graduate school landscape and identify potential programs. Belmont’s Part-Time MBA program was ranked No. 141, higher than its 2018 No. 151 ranking. The University’s College of Law was ranked for the first time this year and came in at No. 139 on the 2019 list. The Best Graduate Schools ranking in both business and law are based on expert opinions about program excellence and statistical indicators that measure the quality of a school’s faculty, research and students. The rankings’ data comes from surveys of more than 2,012 programs and from reputation surveys sent to more than 20,500 academics and professionals, conducted in fall 2017 and early 2018. Dean of the College of Business Dr. Pat Raines said, “After moving ahead of 46 other programs last year in the U.S News Part-Time MBA rankings, I am thrilled for our faculty, students and alumni to advance another 10 places in the 2019 rankings. To be ranked ahead of many of our long-time peers and competition is rewarding, but to be listed ahead of several of our aspirant programs is a meaningful accomplishment. Our alumni should see that the value of their degree is increasing and our faculty should be proud of the outstanding work that they are doing both in the classroom and in their professional careers. Belmont’s College of Law opened in 2012 and provides challenging academics, a service minded approach, real-world experiences and community leadership in a student-centered Christian environment. The College offers specialties in areas that complement the university’s nationally-known undergraduate programs including healthcare and entertainment and music business. Graduates will be practice-ready attorneys, empowered by their education and co-curricular experiences to provide legal counsel in a variety of settings with a commitment to high standards of expertise and ethics. The Jack C. Massey Graduate School of Business began offering its part-time MBA program in 1986 and has continued to add high-quality graduate business programming as market needs have evolved through the years. The School added an innovative part-time healthcare MBA program in 2012 to complement Nashville’s growing reputation as the healthcare capital of the U.S. and a joint PharmD/MBA program in 2016.